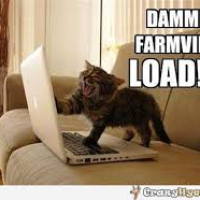 I have a feeling you may be on the wrong forum, this is for Farmville 2 Web game. You might be needing Country escape. Top of forum, a box, says ZYNGA Forums, use the menu to find the one you want. If I'm wrong and you do want the contact to support, for FV2, the link is in my signature, or click on the Help tab above your game screen, scroll down to find the CONTACT US button.